In April, Governor Cuomo signed a bill into law shifting this year’s Primary Day from Tuesday September 11, 2018, to Thursday, September 13, 2018 in observance of the September 11th attacks and the second day of Rosh Hashanah. The September primary includes all state offices on the ballot, including Governor and all Senate and Assembly seats (though, not all sitting legislators are facing primaries). Provided below is a summary of the races. In New York City and the counties of Nassau, Suffolk, Westchester, Rockland, Orange, Putnam, Dutchess and Erie, polls open at 6AM and close at 9PM. In all other counties, polls open at 12PM and close at 9PM. In the Democratic primary for Governor, actress and education activist Cynthia Nixon is challenging incumbent Democratic Governor Andrew Cuomo, who is seeking his third term. Compared to 2014, when many of the labor unions withheld their endorsement of the incumbent, Governor Cuomo has locked up the support of the CSEA, PEF, 1199 SEIU, NYS AFL-CIO, NYS Nurses Association, and many others. NYSUT, one of the state’s major unions, however, has not issued an endorsement of either candidate. There is no Republican primary for Governor. The winner of the Democratic primary will face the Republican nominee, Marc Molinaro, a former Assemblyman who currently serves as Dutchess County Executive and is running unopposed. New York 1 reporter Zack Fink recently highlighted some statistics that put the primary for Governor into perspective. In the 2014 Democratic Gubernatorial primary, when Governor Cuomo squared off against Zephyr Teachout, 9% of the Democratic voters turned out. As we head into the 2018 primary, Democratic Party voter enrolled has increased to 6,202,033, an additional 327,189 from 2014, of which 220,700 are from New York City. Of note, Cynthia Nixon has already secured the Working Families Party line and could continue to challenge the Governor should she lose the Democratic Primary. In the Democratic primary for Lieutenant Governor, Jumanne Williams, a New York City Councilman, is challenging Governor Cuomo’s Lieutenant Governor Kathy Hochul. Due to New York State Election law, Governors and Lieutenant Governors technically run separately and voters can cast their ballot separately for governor and lieutenant governor. In other words, one can opt to vote for Cuomo and Williams, say, or Nixon and Hochul, even though they campaigned in different pairings. There is no Republican primary for Lieutenant Governor. The winner of the Democratic primary will face the Republican nominee, Molinaro’s running mate, Julie Killian, a former Rye Councilwoman who has run for the state Senate in the past. The race for Attorney General took an unexpected turn when Eric Schneiderman (D) abruptly resigned on May 7, 2018, just a few hours after The New Yorker published a report in which four women accused him of sexual harassment and misconduct. After interviewing a dozen candidates, the Legislature appointed Barbara Underwood, longtime Solicitor General of the State of New York, to serve as Attorney General for the remainder of the term—which expires at year’s end. Ms. Underwood pledged to the Legislature she would not run for election to the office. Letitia James, the current New York City Public Advocate, who has received the backing of Governor Andrew Cuomo. Congressman Sean Patrick Maloney, the representative for New York’s 18th Congressional District, who is also running for re-election to his seat in the 18th Congressional District—which incorporates much of the lower Hudson Valley, including all of Orange County and parts of Dutchess, Putnam, and Westchester counties. His platform focuses heavily on healthcare and as such, includes enforcement of federal and State mental health and substance use disorder parity laws. Zephyr Teachout, who challenged Governor Cuomo in the 2014 primary and then, in 2016, who ran for Congress in New York’s 19th Congressional District. The New York Times recently endorsed Ms. Teachout’s bid for Attorney General. The winner of the Democratic primary will square off against Republican nominee, Keith Wofford, a graduate of Harvard Law School who is co-managing partner at Ropes & Gray, a New York City-based law firm. The last time New York elected a Republican Attorney General was in 1994 with Dennis Vacco, who would serve one-term, losing his re-election in 1998 to Eliot Spitzer. Despite promises members of the Independent Democrat Conference would not face primary challenges following their reunification with the mainline Democratic Conference in April, each and every member, as of this writing, appear to be facing an intraparty challenge that could ultimately be factor in deciding which party is in the majority come January 2019. Senator Marisol Alcantara is squaring off against Robert Jackson, a former New York City Councilman. In 2016, Senator Alcantara defeated Jackson in a three-way Democratic primary. Senator Alcantara pledged to join the IDC ahead of her 2016 election to the Senate. The 31st Senate District stretches from Manhattan’s Upper West Side through Washington Heights and includes Riverdale, Marble Hill, and Hamilton Heights. Senator Jeff Klein is facing Alessandra Biaggi, an attorney, in the Democratic primary for the 34th Senate District. Ms. Biaggi previously served as a counsel for Governor Cuomo and as Deputy National Operations Director for Hillary Clinton’s 2016 presidential campaign. Ms. Biaggi is granddaughter to former Congressman Mario Biaggi and her bid for Senate has received endorsement from Cynthia Nixon. Support from labor has been divided, with New York City-based SEIU BJ 32 backing Biaggi’s campaign, while Senator Klein has received the backing of (among others) SEIU and The Retail, Wholesale, and Department Store Union. The 34th Senate District includes parts of Bronx and Westchester counties. Senator Klein was the leader and a founding member of the Independent Democratic Conference. Senator Tony Avella is facing John Liu in the Democratic primary for the 11th Senate District. Mr. Liu is a former New York City Comptroller and New York City Councilman. Mr. Liu previously challenged Senator Avella in a 2014 Democratic primary, losing to the incumbent by less than 1,000 votes. Liu’s latest challenge has received the endorsement of New York City Council Speaker Corey Johnson and New York City Councilman Rory Lancman. Senator Avella joined the Independent Democratic Conference in 2014. The Queens-based 11th Senate District includes Bayside, College Point, Douglaston, Flushing, and Whitestone. Senator Jesse Hamilton is facing Zellnor Myrie in the Democratic primary for the 20th Senate District. Mr. Myrie is a lawyer and has worked as Associate attorney at the firm Davis Polk & Wardwell. Myrie grew up in Brooklyn’s Prospect-Lefferts Gardens neighborhood and graduated with a law degree from Cornell University Law School. Myrie has been endorsed by New York City Council Speaker Corey Johnson and New York Communities for Change. Meanwhile, SEIU is backing the incumbent, Senator Hamilton, who was first elected to the Senate in 2014. Senator Hamilton pledged to join IDC during 2016 election. The District 20th includes parts of a range of Brooklyn neighborhoods, including Brownsville, Crown Heights, East Flatbush, Gowanus, Park Slope, Prospect Heights, Prospect Lefferts Gardens, South Slope, and Sunset Park. Senator Jose Peralta is facing Jessica Ramos in the Democratic primary for the 13th Senate District. Ms. Ramos previously served in the administration of New York City Mayor Bill de Blasio as Director of Latina Media where she worked to keep approximately two million Spanish-speaking New York City residents informed about the Mayor’s efforts and initiatives. Ms. Ramos describes herself as a community organizer, union advocate, and daughter of parents who emigrated to the United States from Colombia. Ms. Ramos’ campaign for Senate has picked up a slew of endorsements, including Congresswoman Carolyn Maloney, Assemblywoman Aravella Simotas, New York City Comptroller Scott Stringer, Gubernatorial Candidate Cynthia Nixon, and New York City Mayor Bill de Blasio. The 13th Senate district is based in Queens encompassing Jackson Heights, Corona, East Elmhurst, and parts of Astoria and Woodside. Senator Diane Savino is facing Jasmine Robinson in the Democratic Primary for the 23rd Senate District. Despite allegations that some of the names on her petitions were forged, Ms. Robinson continues to pursue her primary challenge of incumbent Savino. Ms. Robinson is a legal secretary and member of the Staten Island Democratic Association. Ms. Robinson is a graduate of Port Richmond High School and the College of Staten Island , where she received a degree in political science. Ms. Robinson is running on a platform of affordable health care, bail reform, and increasing funding for public schools. Ms. Robinson has expressed support for single-payer system proposed by Assemblyman Richard Gottfried’s New York Health Act. Ms. Robinson also pledged to advocate for the passage and enactment of the Child Victims Act. Senator Savino was a founding member of the Independent Democratic Conference. The 23rd Senate District encompasses the North and East Shores of Staten Island and portions of Southern Brooklyn, including Bensonhurst, Brighton Beach, Coney Island, Dyker Heights, Gravesend, and Sunset Park. Senator David Carlucci is facing Julie Goldberg in the Democratic primary for the 38th Senate District. Ms. Goldberg is a former teacher and current librarian. Senator Carlucci was first elected to the Senate in 2011 and was a founding member of the Independent Democratic Conference. Whoever prevails in the primary will face a challenge from Republican and former Rockland County Executive C. Scott Vanderhoef, whom Senator Carlucci defeated in 2010. The 38th Senate District includes the Towns of Ramapo, Clarkstown, and Orangetown in Rockland County, along with the Town of Ossining in Westchester County. Senator David Valesky is facing Rachel May in the primary for the 53rd Senate District. Ms. May is a former high school math teacher and has also taught literature and Russian at the college level. Ms. May currently employed as the coordinator of sustainability education at Syracuse University and also serves on the Board of Zoning Appeals and the Democratic Committee in Syracuse. Senator Valesky was a founding member of the Independent Democratic Conference. The 53rd Senate district is composed of Madison County and parts of Oneida and Onondaga counties, including the majority of the City of Syracuse. 18th Senate District – Senator Martin Dilan is facing a primary race against Julia Salazar, a member of the Democratic Socialists of America in the Democratic primary for the 18th Senate District. Ms. Salazar, a self-described tenant organizer and police reform advocate, is challenging eight term incumbent, Senator Dilan. Ms. Salazar is also a staff organizer for the organization Jews for Racial and Economic Justice. New York Daily News recently reported Ms. Salazar first registered as a Democrat in 2017, having been registered as a Republican before moving to New York and first registering with the Independence Party in 2010. Ms. Salazar’s campaign has received the endorsement of Cynthia Nixon and Alexandria Ocasio-Cortez, whose defeat of veteran Congressman Joe Crowley in the Democratic Congressional primary in June rocked the political world. The 18th Senate Districts covers parts of northern Brooklyn including, Bushwick, Williamsburg, Greenpoint, Cypress Hills, City-Line, East New York, Bedford-Stuyvesant, and Brownsville. 42nd Senate District (Open Seat) – The seat has been held by Republican Senator John Bonacic who announced he would not seek re-election this fall after serving nearly 30 years in the New York State Legislature (20 in Senate, 9 in Assembly). On the Democratic side, Jen Metzer, a member of the Rosendale town council, and Pramilla Malick, environmental activist, and will face each other in the Democratic primary. The 42nd Senate District includes parts of Ulster, Orange and Delaware counties, as well as all of Sullivan County. On the Republican side, Orange County Clerk Annie Rabbitt, a former Assemblywoman, is seeking the seat. 63rd Senate District – Shaqurah Zachery is challenging incumbent Democratic Senator Timothy Kennedy in the Democratic Primary. Ms. Zachery, a former educator, is an attorney practicing in family and education law graduating from Northwestern University and SUNY Buffalo Law School. This is Ms. Zachery’s first time running for office, and who would like to focus on ways to combat poverty in the region as well as addressing recent number of deaths at Erie County Holding Center. Senator Kennedy has secured the backing of the party establishment. The 63rd Senate District includes Cheektowaga, Lackawanna, as well as the East Side of Buffalo, South Buffalo, and parts of Westside of Buffalo, according a description by The Buffalo Chronicle. 18th Assembly District – Longtime Democratic Assemblymember (and social worker), Earlene Hooper, one of the highest ranking members of the Assembly as Deputy Speaker, is facing a primary challenge from Democrat Taylor Raynor, a business analyst and head of the advocacy group Save Hempstead Students. The Nassau County Democratic Committee pulled its endorsement and support of the longtime incumbent following the racially insensitive remarks she made against her primary challenger. The committee is also providing additional resources to the incumbent’s primary challenger. The 18th Assembly District covers parts of Nassau County including Hempstead, Roosevelt, Uniondale, and Freeport. This could be a nail biter of a race. 39th Assembly District – Assemblymember Aridia Espinal was elected in the April 24, 2018, special election to fill the Assembly seat formerly held by Francisco Moya, who was elected to the New York City Council last year. Assemblymember Espinal, a former aide to Francisco Moya, ran unopposed in the special election, in which she received fewer than 800 votes. Assemblymember Espinal will be squaring off against Catalina Cruz in the Democratic primary. Ms. Cruz is a lawyer who most recently worked as chief of staff for former City Council Member Julissa Ferreras-Copeland. The Queens County Democratic Party is backing the freshly minted incumbent Assemblymember Espinal. The 39th Assembly District covers parts of Queens including Jackson Heights, Elmhurst, and Corona. While the following races are NOT primary considerations, they are strongly in play in November, and will decide the fate of the leadership in the upper house. 5th Senate District – Senator Carl Marcellino is facing Democrat Jim Gaughra, chairman of the Suffolk Water Authority, who came within the 1,761 votes of beating the longtime incumbent in 2016. Mr. Gaughran, an attorney, has previously served as a Suffolk County Legislator and member of the Huntington Town Board. Democrat Jim Gaughran’s 2018 bid for Senate has already received the endorsement of NYSUT. Senator Marcellino is the longtime chair of the Senate Committee on Education. The 5th Senate District runs along the border of Suffolk and Nassau counties, including the northern portions of the Towns of Huntington and Oyster Bay and the City of Glen Cove. 3rd Senate District (Open Seat) – Held by Senator Thomas Croci who announced he would not seek re-election as he was called accepted a call to active duty by the US Navy. 4th Senate District – Held by Republican Senator Phil Boyle, who in 2016 ran for Nassau County Sheriff and a judgeship before winning re-election to the Senate. This fall, Senator Boyle will face Democrat Lou D’Amaro, who served in the Suffolk County Legislature for 12 years. D’Amaro’s campaign for Senate has received the backing of Governor Cuomo. The 4th Senate District, based in Suffolk County, includes Bay Shore, Bayport, Baywood, Bohemia, Brentwood, Central Islip, Deer Park, East Islip, Fire Island, Gilgo, Great River, Holbrook, Holtsville, Islip, Islip Terrace, North Babylon, North Bay Shore, North Great River, North Lindenhurst, Oak Beach-Captree, Oakdale, Ronkonkoma, Sayville, West Babylon, West Bay Shore, West Islip,Wheatley Heights, Wyandanch, Babylon, Brightwaters, Lindenhurst, Ocean Beach, and Saltaire. 7th Senate District – Held by Republican Senator Elaine Phillips, who was elected to the Senate in 2016. The first-term incumbent will be challenged by Democrat Anna Kaplan, who currently serves as councilwoman in North Hempstead. Ms. Kaplan, who has the backing of Governor Cuomo, averted a Democratic primary as Democrat Brad Schwartz, television producer and editor, withdrew from the race earlier. The 7th Senate district covers the northwest portion of Nassau County, including Mineola, Port Washington, Great Neck, Roslyn, Westbury, and Hicksville. 39th Senate District (Open Seat) – This seat has been held by Republican Senator William Larkin since 1990, who announced he would not seek re-election. Republican Tom Basile, Stony Point Councilman, will square off against Assemblyman James Skoufis, to succeed the seat left vacant by Senator Larkin. Based in the Hudson Valley, the Senate district includes Ulster County towns of Plattekill and Marlborough, central and eastern Orange County, and the northern tip of Rockland County. 43 Senate District (Open Seat) – The seat has been held by Republican Senator Kathy Marchione who announced she would not seek re-election. 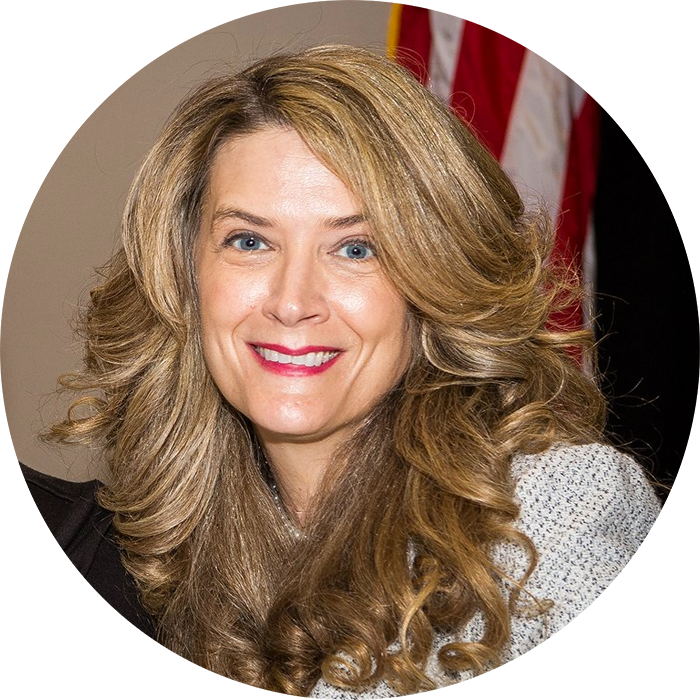 Karin Carreau, MSW, Founder and Principal of Carreau Consulting, has been on the scene at the Capitol for nearly 15 years and has built a strong track record of successes. Throughout her career, Carreau has provided representation on high profile issues in the arenas of juvenile justice, mental health parity, professional scope of practice licensing and continuing education issues, social services, and consumer protection. Carreau also created the state’s Veterans Mental Health Training Initiative and co-created New York State’s program on problem gambling. Karin has worked extensively with statewide associations to develop strategic organizational policy priorities, craft and implement issue-specific campaigns, construct public relations messaging, cultivate stakeholder engagement, and foster coalition building. In addition to her legislative work, Karin has taught a graduate-level course on social work policy at the State University of New York, Albany. Karin graduated from the State University of New York, Albany in 2000 with a B.S. in Social Welfare and in 2001, with a Masters of Social Welfare (concentration in policy and administration).